My robot won't do as commanded? The robot in question is holding planks at the output of the top crude bench saw. As you can see from his coding panel, he's past the "Move to General Storage" but he's still standing there (The waiting symbol above his head is because the storage is full). 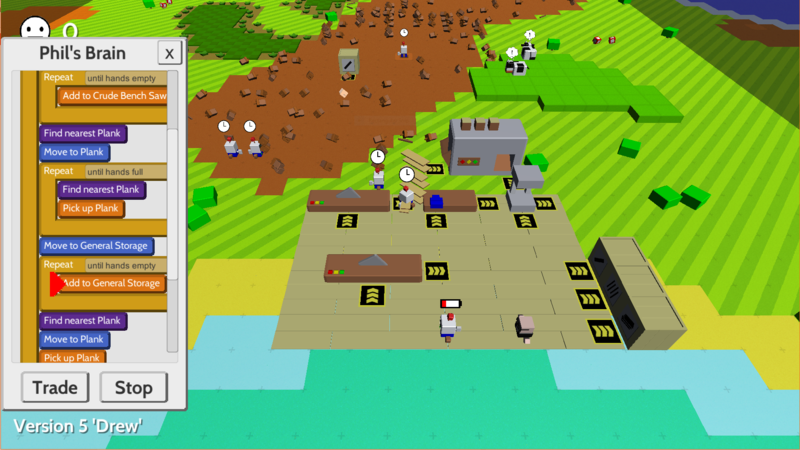 I've tried redoing his code, and moving the storage boxes; which also made me redo his code. He was working fine before I realized he was making more planks than storing and fixed his code. All I added was going back to pick up more planks and then storing them. For now to keep my guys going I'm going to ignore repeats and do the whole motion coded (Well, I'm not getting rid of the repeat that keeps him from doing it forever (Which I forgot to do in the picture)). Yep this is a bug that should be fixed in Version 6 (out today). 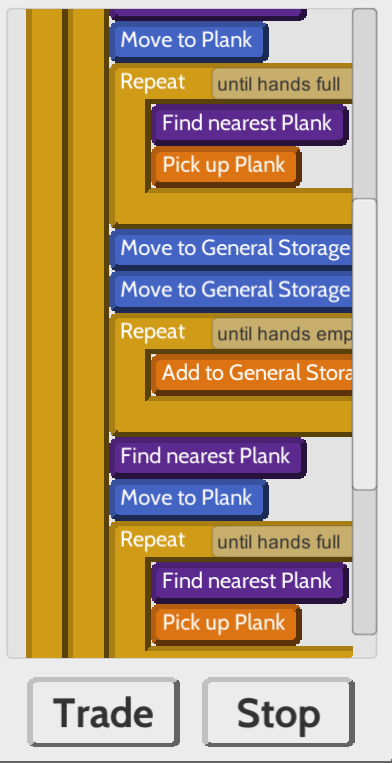 The problem is the "Find nearest Plank", "Pick up plank" is missing the "Move To Plank" in between. It was causing the next "Move To" instruction to be ignored. 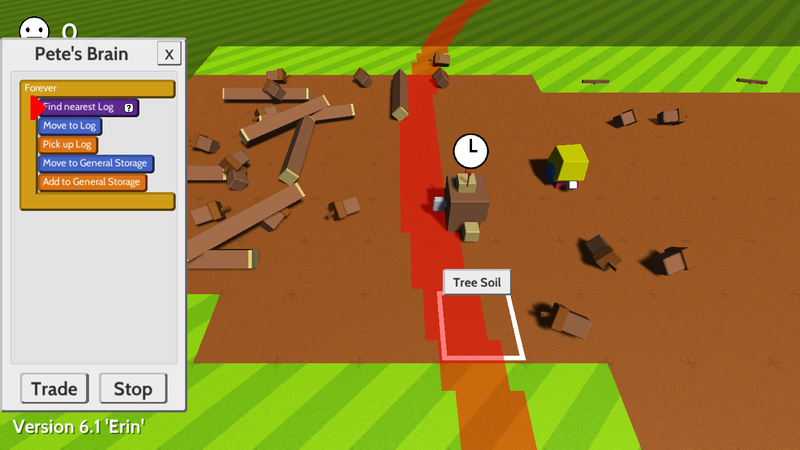 In Version 6 are now beacons as a working area. Your Bot seems Stuck at that Radius to Work as you set him Up at a location that is like a beacon only for him at the programming stage and to work over that now jou need to set up a beacon that covers your Work area and klick the Question mark and than the Beacon to give him it's new Workarea.